There’s no dairy in these vegan cheeses, but even your dairy-eating friends will be amazed by these delights! 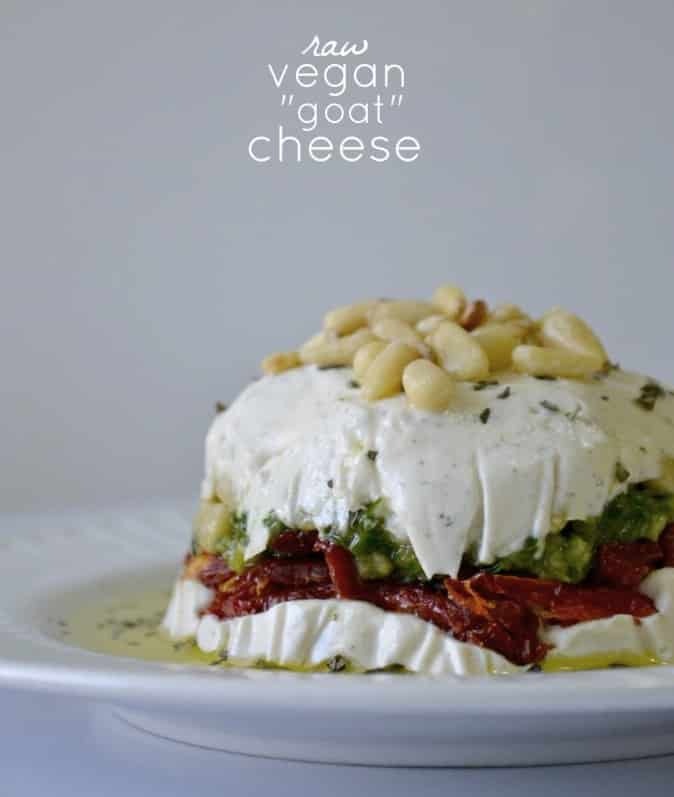 Vegan cheese seems impossible, but some ingredients that regularly appear in vegan food give a cheesy taste to dishes. One of my favorites is nutritional yeast. It tastes good and it’s good for you. Cashews, which are delicious just plain by the handful, create a magical texture that is reminiscent of goat cheese. 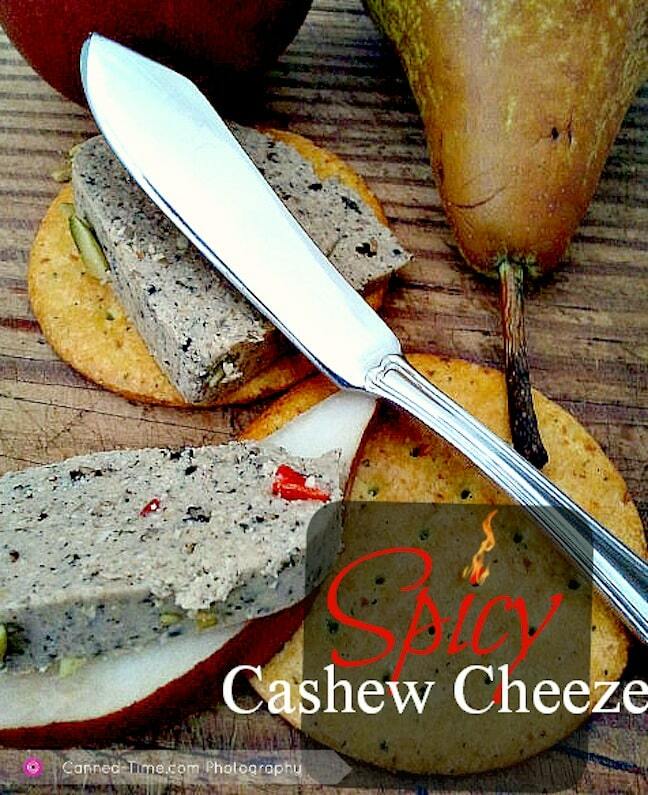 Make sure to scroll to the end to see each one of these 8 vegan cheeses, all of which will knock your socks off! First up is Nava Atlas’ Smoky Vegan Cheddar Cheez that’s made from cashews, carrots, and spices. You can add the vegan gelling agent agar to get this to set up in a sliceable form, as shown in the first photo above, or just use it as a spread, as pictured just above. 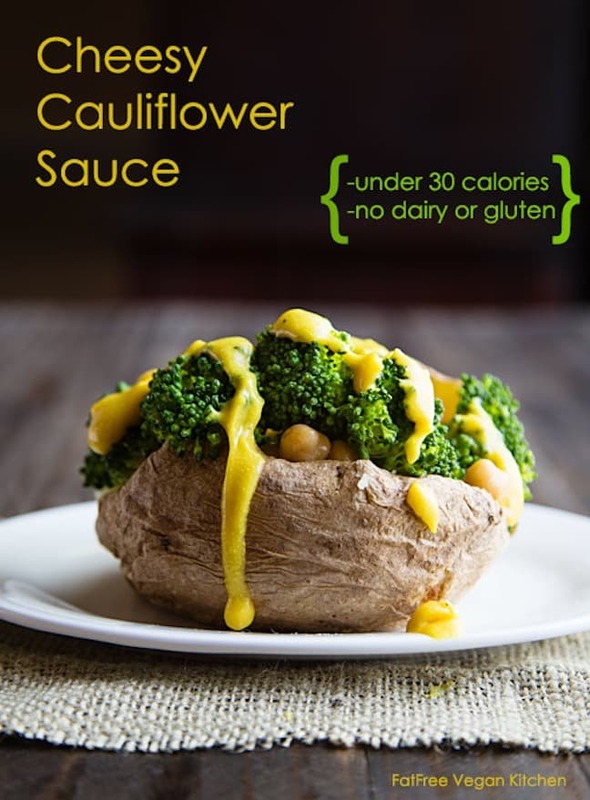 Susan Voisin of FatFreeVegan.com shares this lovely Cheesy Cauliflower Sauce — a delicate sauce worthy of pouring over everything. The base? Cauliflower, nutritional yeast, and chickpea miso – yum! Somer McCowan has some amazing cheese recipes on her blog VedgedOut.com. 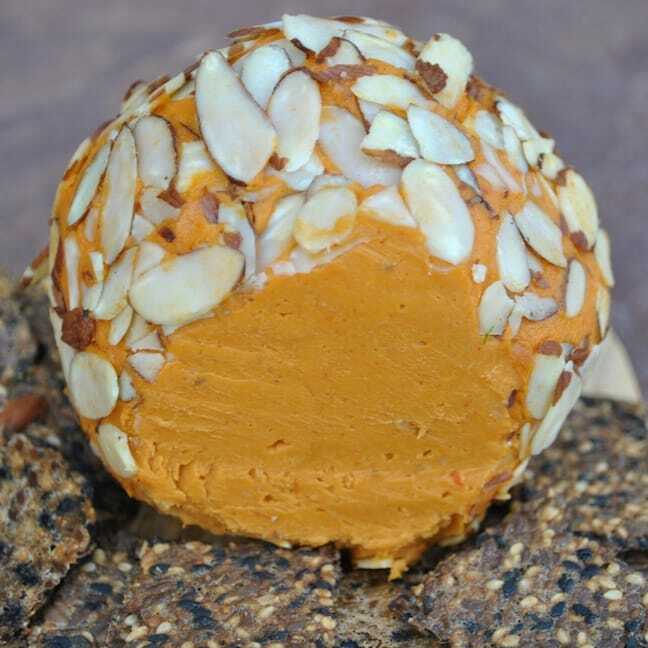 But I’ve chosen the one I love the most – her Kick Ace Extra Sharp Raw Vegan Holiday Cheddar Cheese Ball. It uses cashews and sun-dried tomatoes as its base. She kicks up the chez flavor with miso, apple cider vinegar and mustard powder. Best part of all is the coconut oil really firms this baby up and it will fool your friends into thinking it might be real cheese. Angela McKee of Canned-Time.com has a spicy cashew cheeze to share with you. She coats the outside with Satan’s Kiss peppers so she means business when she calls it spicy! 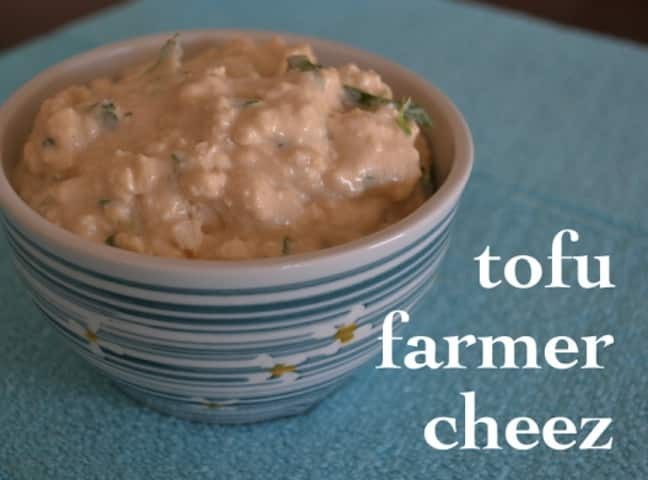 This Tofu Farmer Cheez is the work of Ann Oliviero of Anunrefinedvegan.com. It’s full of tofu, cashews, lemon juice, miso, and herbs, making it a delicious part of your lunch or dinner. It’s perfect for serving with crackers. 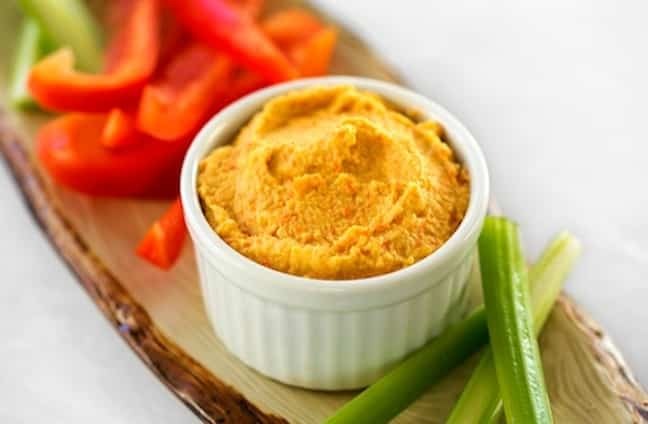 Cara Reed of ForkandBeans.com shares herRaw Vegan “Goat” Cheese Dip, inspired by those she was seeing on Pinterest. She stuffs this full of sun-dried tomatoes and pesto. And now you know why I love her so much. 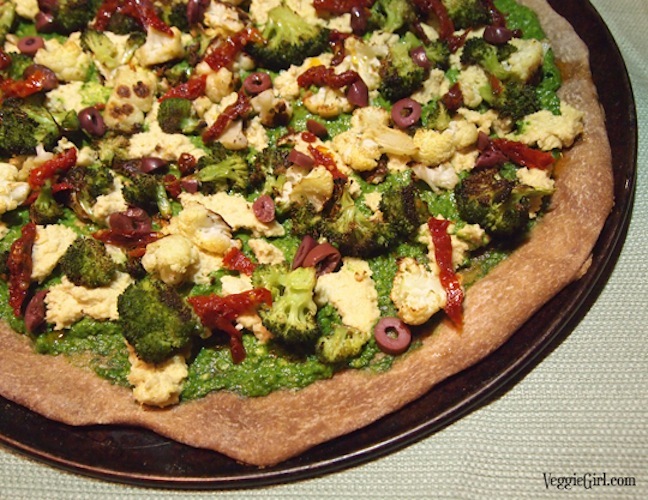 Dianne Wenz of VeggieGirl.com is sharing her Green and White Pizza with cashew ricotta and spinach pesto. Look at all those veggies – pizza can be healthy! 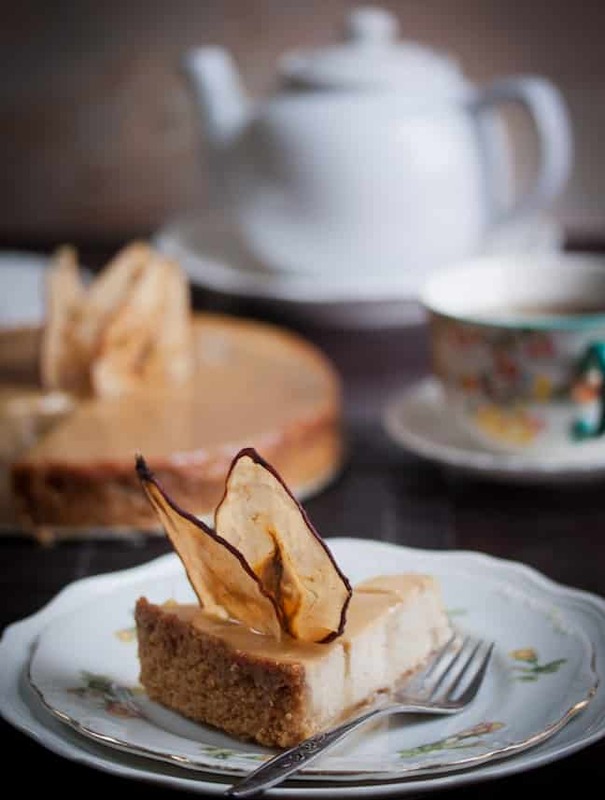 The lovely gluten-free Allyson Kramer of Manifest Vegan shares her Pear and Ginger Ricotta Cheesecake with Salted Caramel Drizzle. She uses tofu and vegan cream cheese to create this stunning dessert. So now, the next someone tells you they can’t be vegan because they can’t give up cheese, you have 8 wonderful recipes to share with them!